Blake has closed herself off from the world, content to live among the wild horses on the coast with minimal human interaction only. 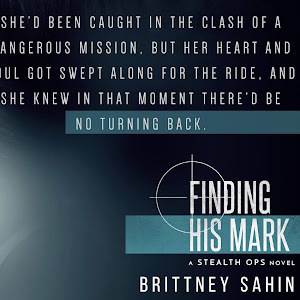 Though successful in her career and accepting of her future, past wounds still feel fresh for her, especially after seeing the one man she wanted to never see again. 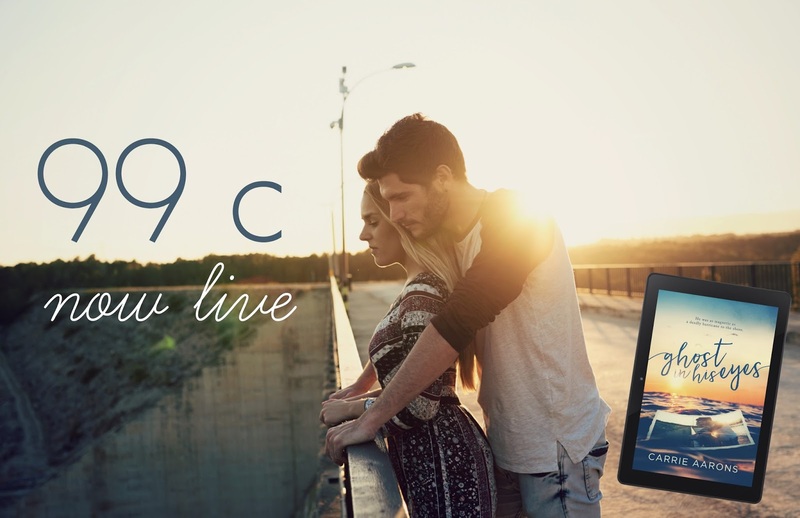 Carson Cole is the keeper of her memories, the only person she ever loved more than her family and the only person she hated as much as she hated herself. Carson is home, back on the island and back in the path of Blake's hurricane strong anger. Their past was never resolved, an open gash on his heart like the scars that still mar his skin. When they cross paths repeatedly despite intending to avoid one another he pushes for the communication dam between them to open. 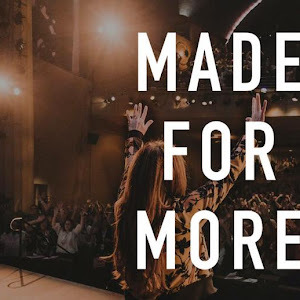 When the past and their imprisoned emotions are set free they will either find forgiveness and love again or scatter their hearts in the sea. "Everything here reminded me of her. Relics of a lifetime ago. And what reminded me of her brought every last whispered thought of him back to life." 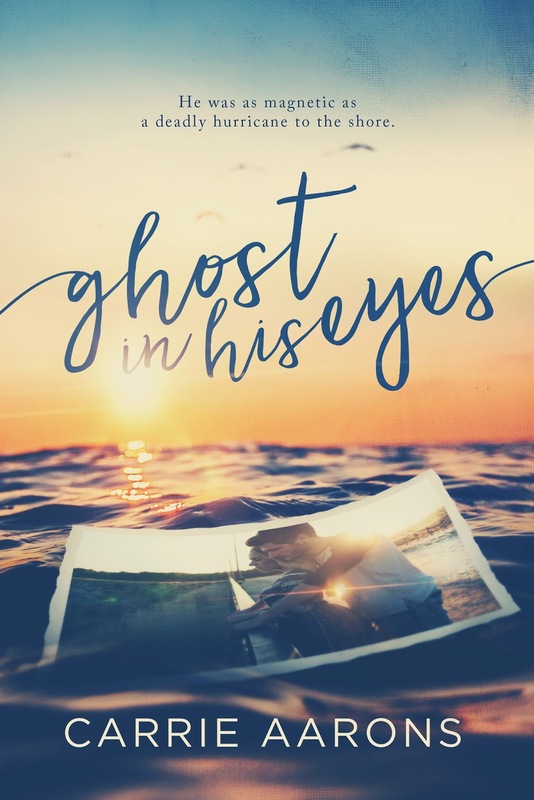 Let's just put this out there, I am a crier, I always have been and I always will be, but Ghost in His Eyes had me crying the ENTIRE TIME. Carrie Aarons has a way with words already, but her descriptive writing style in this emotional second chance romance won me over. Ghost in His Eyes very much so focuses on each individual's grief rather than the romance between the main characters. 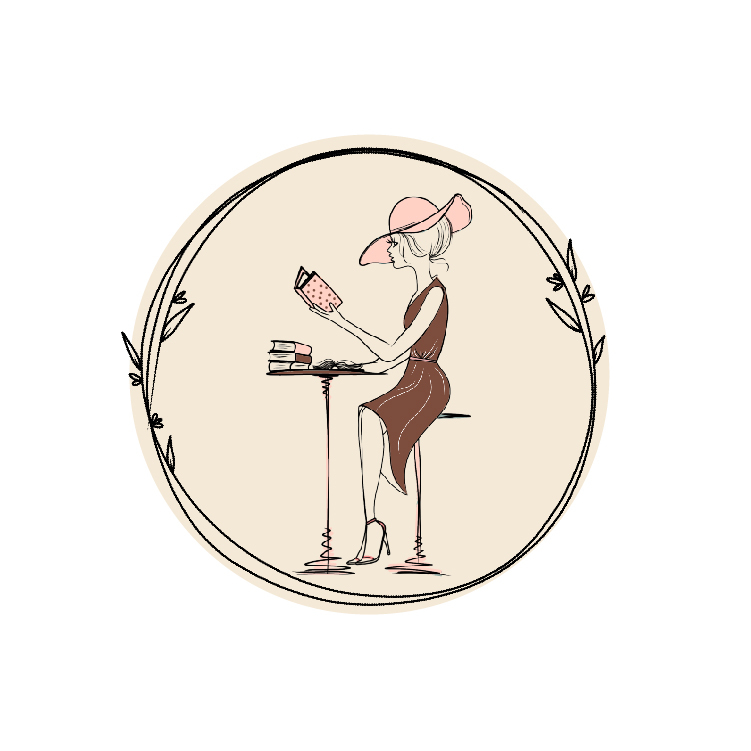 Carrie takes readers into the past with flashbacks and through the motions of life in the present as both Carson and Blake struggle with acceptance, self-love, and forgiveness. 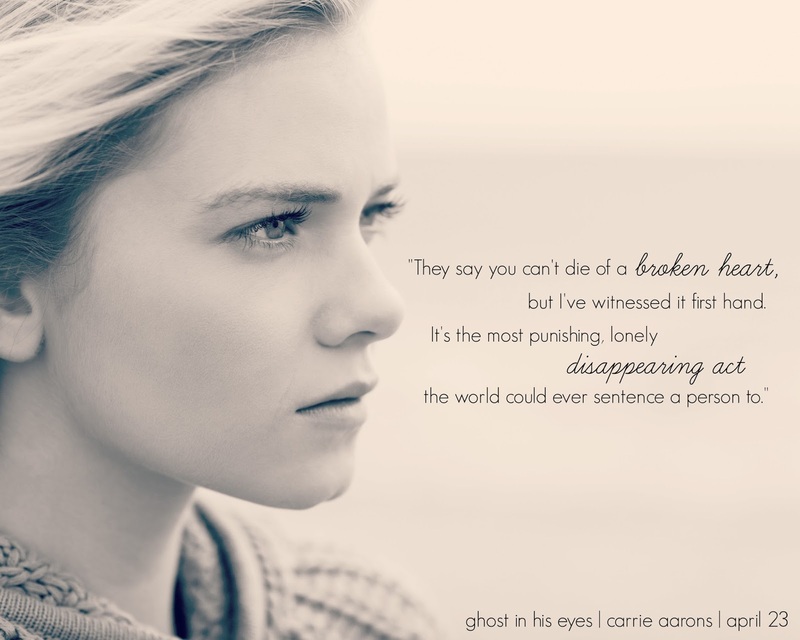 There was less angst than one might expect, which might be a negative for some, but made Ghost in His Eyes a definite five star read for me. Come on, I was crying and it didn't even have a ton of angst, imagine what I would have been like if it had! I like that it was more sweet, that the characters found comfort in one another after so long, and that despite life's pains both had managed to become independent individuals with realistic lives. "His touch is both heaven and hell, it's repairing my bruised and broken heart and also slicing it ventricle from ventricle." 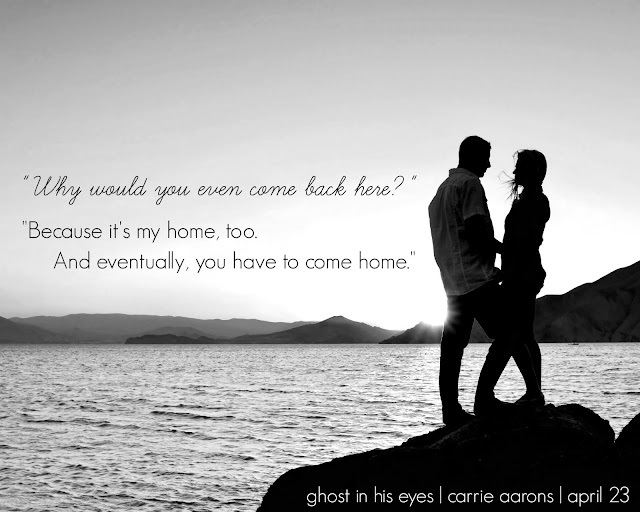 Ghost in His Eyes might just be my favorite Carrie Aarons release to date and I definitely recommend it to all my fellow readers that love a good cry over a romance novel. 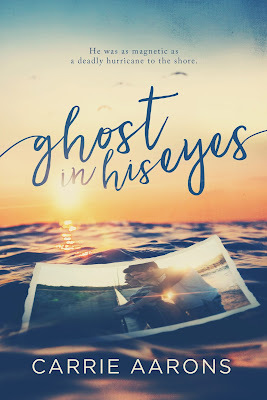 With beautiful prose, a unique setting, and a second chance romance that makes you believe in love, Ghost in His Eyes is a five-plus star read.